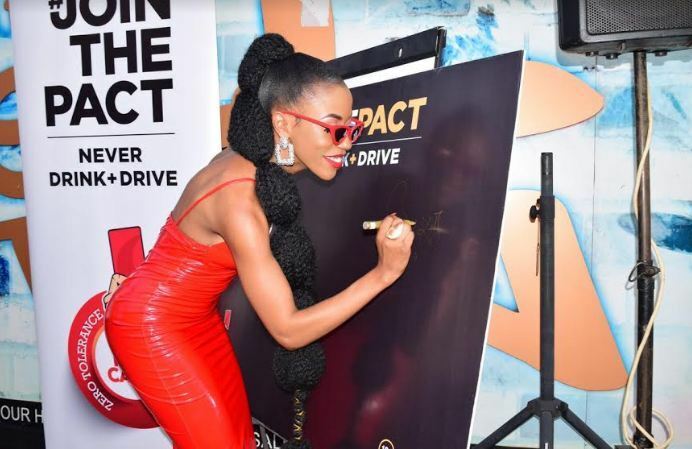 KAMPALA– Uganda Breweries Limited (UBL) under their Red Card Initiative appointed Ugandan female dancehall artiste Vinka, real names Veronica Luggya as Ambassador to spearhead campaign against drink and drive. The campaign looks forward to reducing accidents in Uganda. Vinka who will lead the campaign for 6 months will work alongside media personality, Flavia Tumusiime and businessman, Innocent Nahabwe. Charity Kiyemba, the Uganda Breweries Managing Legal and Corporate Relations Director while speaking at the launch on Friday said that the chosen Ambassadors are quiet responsible and popular who will make the campaign hit its target. “We handpicked these Ambassadors because they show responsible attitudes towards alcohol and resonate well with our consumers. Vinka is very popular especially among the young generation who we are specifically targeting with this campaign. She will use her music and social media platforms to encourage her fan base to ‘Join the Pact to never drink and drive’,” Kiyemba said. “Incidences of drink driving account for about 5% of road accidents in Kampala according to Kampala Metropolitan Traffic Police. We at Uganda Breweries are concerned about our consumers who put themselves at risk through irresponsible practices like drink driving. It is for this reason therefore that we are launching this campaign to promote responsible alcohol consumption and practices,” he revealed. 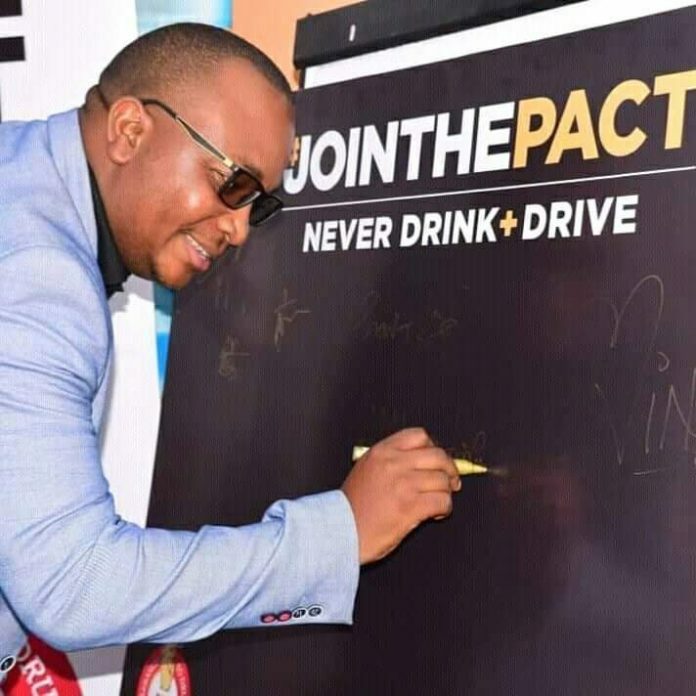 Join the pact to never drink and drive campaign is a continuation of Diageo’s worldwide Join the Pact campaign that has been implemented in over 40 countries since 2008. Diageo, through their Johnnie Walker brand, partnered with global rally champions like Lewis Hamilton and Jenson Button as campaign ambassadors and engaged consumers to show their responsible drinking commitment by making a pledge online. The campaign has attracted over 13 million commitments to never drink and drive from inception to date. In Uganda, Join the Pact is targeting to collect 10,000 commitments over a period of 6 months. UBL will for the next 6 months be interacting with consumers online, in bars, alcohol selling outlets and universities to encourage them to make a commitment Join the Pact. They will also be giving away free UBER rides to consumers who sign the pact.